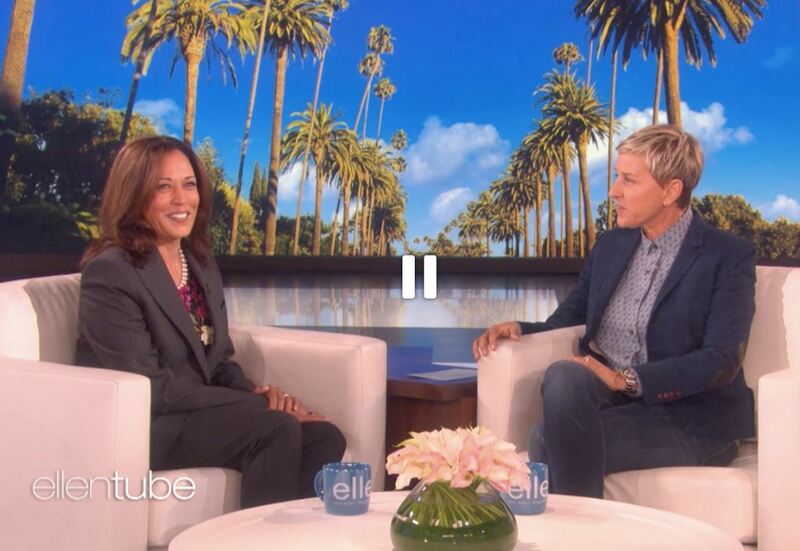 Is Kamala Harris Foreplay to a Michelle Obama Ticket? Photo credit: ellentube via Redstate.com. The Democratic Party has imploded exponentially since the 2016 presidential election and it remains to be seen whether it will recover and return to its more centrist roots or continue to spiral into ever more dark socialist progressive dogma. My bet is on the later—but only because the Democratic National Committee is priming the pump. Here’s why. By all accounts, Bernie Sanders, who openly endorsed a socialist agenda, was well liked by millennials and unashamedly shilled for Medicare for all, forgiving student debt and enacting a mandatory $15 minimum wage hike. Sanders biggest problem was timing. It was Hillary’s turn for a shot at the presidency and the DNC was paid to remain firmly behind her skirts, or pantsuits, by hook or crook. It also didn’t help that Sanders was old and white, not the type of poster boy the DNC can get behind without demoralizing their activist base. Having painted themselves into a racial identity corner, they must now deliver a non-white candidate who can appeal to the Sanders base and the large block of undecided voters who couldn’t or wouldn’t vote for a Hillary presidency. 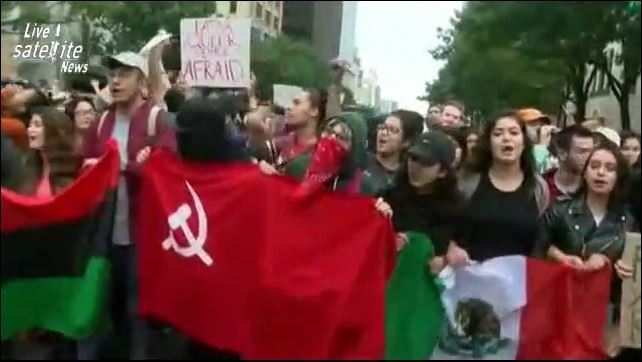 Notwithstanding this, a November 2017 poll showed the majority of millennials would prefer to live in a socialist, communist or fascist nation rather than a capitalistic one. In the Victims of Communism Memorial Foundation’s “Annual Report on U.S. Attitudes Toward Socialism,” 58 percent of millennials opted for one of the three systems, compared to 42 percent who said they were in favor of capitalism. Trump protestors in Austin, Texas. Photo credit: Redoubt News. With the socialist wind behind their sails, democratic handlers are throwing progressive black contenders into the political ring to gauge the public’s reaction, such as Hollywood’s earliest push to make Oprah into a presidential contender. This was not just an arbitrary whim by dimwitted actors. Creative Arts Agency (CAA) players are heavy hitters that include Obama, Biden, Valerie Jarrett, former Senator Barbara Boxer and Eric Shultz, Obama’s former Senior Adviser who also served as the Communications Director of the Democratic Senatorial Campaign Committee in 2010 before joining Obama’s White House. You can read more about Obama’s influence with the CAA in my article, Obama Is Still Commander and Chief. Obama had a long-standing debt to pay Oprah, who endorsed him for his presidential bid early in the game and unveiled him to the larger public on her syndicated show. Thing is, Oprah doesn’t have the stomach for politics. Oprah became so unglued in 1998 when she butted heads with the beef industry, which sued her for defamation stemming from a 1995 show on mad cow disease, that she sought psychiatric help, which turned out to be Dr. Phil. Obama appears on Oprah in 2004. Photo credit: Oprah.com. Oprah’s other problem is that she isn’t as well known to millennials and genXers as she is to baby boomers, the core demographic that made her “Oprah” show successful. And although Oprah is certainly a lefty, she isn’t socialist enough to make the democratic base happy. Finally, Oprah won’t play well to many Christians. Although Trump is not overtly religious, his public comments point to a traditional core religious belief in Christianity. Oprah however, endorses New Age practices and celebrates gurus and teachings that, while it may play well to a generation of young secular voters, ignores all of the fly-over voters between the coasts. Many Christians were appalled by the book, The Shack, a novel Oprah endorsed and propelled onto the best seller list. The next big test case came in the form the obscure and young Alexandria Ocasio-Cortez, the socialist who won the Democratic primary in New York’s 14th congressional district, defeating incumbent Democratic Caucus Chair Joe Crowley. The mainstream media instantly propelled her to stardom, prematurely proclaiming her to be the young fresh face of the Democratic Party. Turns out though, Ocasio-Cortez isn’t smart enough to be a real contender and her endorsement of other democrats have proved to be the kiss of death. Members of the late Jamiel Shaw’s family join members of Los Angeles Tea Party and conservative citizens rallying against the Los Angeles City Council’s vote to boycott Arizona because of its illegal immigration law outside Los Angeles City Hall. Photo credit: AP/Damian Dovarganes. Though Kamala is a heavy-weight contender for a presidential run, she is also an accurate measuring stick on how well Michelle Obama would do on the presidential ticket. Michelle, herself, graduated from Harvard Law School and Princeton University and still holds her law license. Michelle is also well loved by the mainstream media, who often described her as beautiful and smart during President Obama’s two terms in office. Harris may also not play well to a wide audience. According to an article in The Hill, one strategist familiar with Harris’ senatorial campaign said, “She’s perceived as very, very difficult to work for. She doesn’t have real relationships and partnerships. 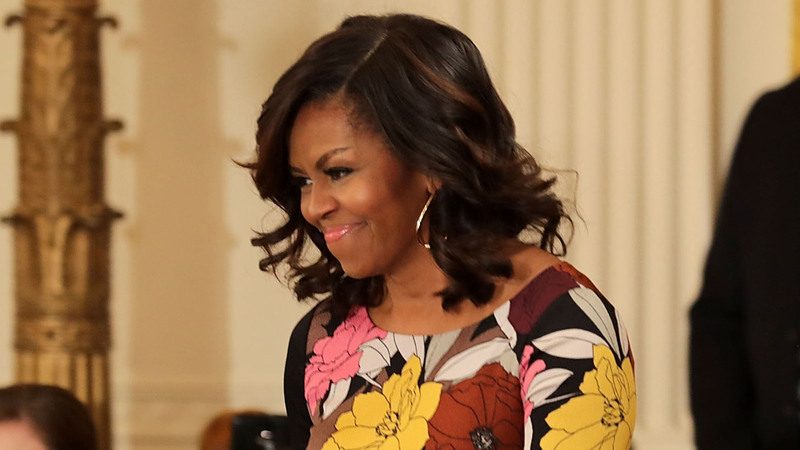 She has acquaintances.” While Harris struggled with the political learning curve in her bid to replace outgoing Senator Barbara Boxer, Michelle Obama has had eight years to perfect her public persona and knows how to play at being centrist. It also goes without saying that Michelle has learned from the master on how to say one thing while doing another. Obama worked tirelessly in his position at the White House to affect long-term government change through building and funding his activists groups, successfully employing Alinsky’s “long march theory.” In fact, one could reasonably argue that this was his main accomplishment during his tenure. Antifa, Moveon.org and Black Lives Matter did not appear out of a vacuum when Trump threw his hat into the presidential ring. Obama and his Justice Department worked tirelessly for eight years to position and fund these organizations behind the scenes. Michelle knows how to stay out of the way and let the deep state run the oval office. Michelle also has the polish that democrats are pining for in a Trump administration. Trump’s crass mannerisms and speech doesn’t appeal to east coast elites and the Wasps and blue bloods who have traditionally supported the Democratic Party. While many held their noses and voted for Hillary, she clearly came with too much baggage and generated zero enthusiasm except with fringe feminists. Media darling Michelle Obama has the poise and chops the DNC is pining for. Photo credit: Chip Somodevilla/Getty Images. Harris’ stands on issues important to blacks won’t make her a favorite for this demographic. It would be up to Michelle to win back the black vote. Blacks were vocally disappointed in Obama’s ability to improve their everyday lives. 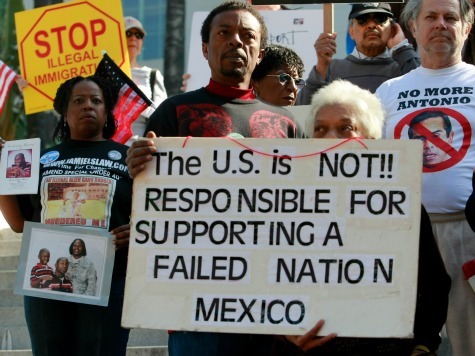 The Party’s pandering to Hispanic illegal immigrants via the now dead DACA issue, did them no favors with blacks, who widely oppose open borders and compete with Hispanics for employment. Black female voters could be Michelle’s ticket to the hearts of black voters, however. Black households are almost all headed by black single women who have, for generations, relied on the federal government for household dollars. If Michelle can strike the right tone with black females without talking down to them, I have no doubt she could win back the black vote. Finally, voters are primed for a populist candidate and, although Michelle was involved in some policy changes during the Obama administration, she played First Lady to perfection, not angering voters as Hillary did during Bill’s tenure as President with infamous comments such as the one she made in 1992: “I suppose I could have stayed home and baked cookies and had teas, but what I decided to do was to fulfill my profession, which I entered before my husband was in public life.” It was smug and off putting and showed, even then, that Hillary never wanted to be First Lady and is tone deaf and self-unaware. Michelle’s recent public criticism of Trump is calculated to gauge the public pulse of voters who already don’t like Trump and her remarks have thus far been pretty benign. I anticipate we will hear and see more of her in the press, as we have Harris. Harris as a presidential candidate won’t win with her hard-left agenda amid a national populist movement, but what she will do is serve to make the base happy and prime the pump to make Michelle appear more centrist and reasonable. America is not ready to elect a candidate who is openly against the Second Amendment. Any win by the DNC will have to push its agenda through subversion, as it did with Obama. Old-timers such as Nancy Pelosi know this, which is why they are not retiring. You can be a progressive socialist, but you must do so quietly in order to win the centrist base.